Puzzle games are among the most popular, ever. In fact, the most popular individual gaming franchise on mobile (Angry Birds) is a puzzle game. The genre has evolved consistently and developers have been finding new and exciting ways of teasing our brains, making us think, and stumping us entirely. It also helps that puzzle games are easily playable on mobile devices which have only helped skyrocket their popularity. Here is our pick of a list of the best puzzle games on Android. So, if you’re looking for a new and interesting puzzle to beat the boredom and replace your free time with some epic mobile gameplay than keep read carefully because here we have an appropriate proposal for that purpose. Namely, we gladly want to introduce you the Match it Fast, a colorfuladdictive puzzle that surely will glue you to your Android device in the next couple of hours and provide you some incredible fun and brain-teasing experience. The main goal for you as a player is to make as many matches as possible. You have only 5 seconds for each match and a timer counting down for you to complete each level. Match it Fast Game feature with progression difficulty with entering each new level. With the gameplay, your reaction times are sure to be tested or improved. We gladly recommend it, so it will be a wise step to visit the Play Store Link and get Match It Fast for free on your phone in the name of some good fun. Give it a try and don’t forget to leave as your comment about it! Enjoy it! If you are an avid consumer of the news, you are familiar with just how fast stories breakout, headlines change and events happen. Keeping up with all the news is practically an impossible task in our 24-hour news cycle society where there is always a new story breaking. On top of that “fake news stories” are thrown around on the regular, and it’s becoming more and more important to derive information from various sources. So what should you do? Scrolling through ton of news websites doesn’t sound so fun, does it? Well, this is where news apps save the day. These apps offer something for everybody, help you instantly browse through major headlines, read stories from your favorite categories and create your own personalized newsfeeds. If you want a more personalized way of consuming your daily news portion you really need to give News Stream a try. News Stream is a kind of news aggregation and bookmarking app which provides users with a personalized way they can choose and cherry pick the publications and news they want to incorporate in their staying up to date routine of news consumption. This is a service that catalogs and categorizes thousands of online news sources and delivers them right on your smartphone. All of the news publications aggregated on the app are categorized into proper categories such as newspapers, magazines, radio, cable news and online news. It also has an advanced search feature which help users quickly find what they want to view. News Stream comes with clean, uncluttered interface which makes the reading experience as smooth as possible. Upon signing up on the app, users can choose a country and language for the publications they want to see on their feed, and there are a whopping number of more than 100 of them available. Users can also search for specific publications and add them to their personal customized reading list. Other than that there are also trending and editorial pick sections where users can see what are the most hot news around the globe and see what news are popular amongst the editorial team of News Stream. News Stream is an amazing app that lets us cherry pick the news we want to consume on daily bases, a truly great and useful thing as we are constantly bombarded with all kinds of news we didn’t asked for from every possible corner of today’s media. 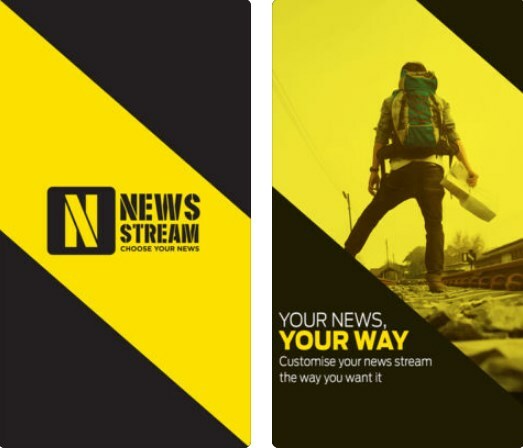 You can find and download the News Stream app; the free version is available at both the Google Play Store and the App Store. For people that like reading or even like writing, nowadays many apps offer you that kind of experience. If you struggle with long reading, than the right app on your smartphone can help you by offering you short make up stories that are fun, addictive and intriguing for reading. With the right app, you can read stories of 5 minutes or even write your own, earning money each time someone is reading them. We did our research and we have the app for that. Let’s discuss it. Developed for IOS and android users as one very fun and cool entertainment app for users that want to read, this app offers users the most intriguing and addictive short make up stories. Users with this app are able to find easily many stories of different genres for anyone’s taste available for reading and read them just by tapping their screen. Constantly new stories are available on the app for reading that offer different media formats and some of them even include images, websites, links or even tweets, keeping the user’s attention each time he reads. 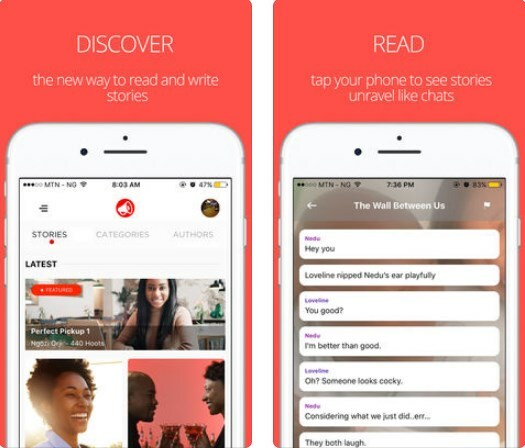 The TNC Stories as the entertainment app for reading short make up stories is keeping users interested in reading, getting them addicted fast. On the app users only need to tap their phone’s screen to reveal the chat bubbles on the same way they do it on their messenger app. Each make up story available on the app is very intriguing, easy to read and very interesting. Within the app, users can find make up 5 minute stories of different genres, written from both newbies and experienced writers. All for free is available on TNCStories by the Naked Convos. The short make up stories of 5 minutes are going from suspense, drama, humour to thriller, and many more genres. This app offers all users that struggle with long reading to enjoy the short stories with tapping (HOOT) on the story and reveal it as they go reading. Users can also write their own stories and earn money from the hoots they receive when someone reads it. More hoots on the story, more money for the user. Users are allowed to comment on stories or even follow writers they like, receiving emails when their favorite writer publishes a new story they would like to read. Download the app for free on Google Play and App Store to create your own stories and get paid for! If you are interested to know more about the Vietnamese culture and lifestyle while learning more about that community in the city you live, nowadays there are many easy ways to do that without wasting your time. To help with you search and make it easier for you, we discovered one great app for people that live in the US and want to get to know the Vietnamese community better, keeping up with events and learning about places to visit. Let’s see what the app offers you. This Vietnamese travel app is helpful, practical and easy to use, offering its users to learn more about what’s happening around the Vietnamese community around US major cities. The app is developed for both android and IOS users and it’s US based, promoting the culture as well the contemporary Vietnamese achievements and life. By using the app, users will be able to learn about the culture, stay informed about what is happening and look for interesting events, places and things for doing in the Vietnamese community in their city. Vinacircle is offering its users a lot of features that will help them to keep informed of what is going on in the Vietnamese community in their city. With the help of the app users are able to look for local places and things to do in the community, read articles to stay informed, simply keep up with what is going on around the world. Using the app will help users to learn what’s popular in the moment as to read many interesting stories and a lot more. Users with the help of this app are offered to easily look up local business phone numbers, view locations and directions of businesses on the map and even discover great local restaurants and view all their favorites any time they want to. If the users want to, they can use the app to search for classified ads and job ads, to sell something, find a bargain or to look for a new job. On the app, users will easily find local events and see what’s happening around them in the Vietnamese community during the week or during the upcoming weeks. Download this app for free on App Store and Google Play to see what’s going on in the Vietnamese community! In a mobile world dominated by so many different kinds of smartphone games, the match-3 puzzle games definitely belong to a world of their own. Due to the immense popularity enjoyed by this genre, the match-3 puzzle game space has become a lot cluttered. Because of that, finding an innovative and addictive match-3 game that offers you all you are looking for in a game can be quite tricky. We did our research and we have one amazing match-3 puzzle game. Let’s discuss about it. Developed for both IOS and android users, very easy for playing, fun and quite challenging, this match 3 puzzle game is offering all players to match 3 or more candies of the same color in multiple directions to create the special power-up, get through the obstacles and solve the puzzle. In the many levels offered, players will enjoy the flexible and intuitive touch control, the innovative gameplay and graphic elements. The exotic and diverse mission systems and eye matching map system are only making the experience even better while the players try to progress and win as much scores as they can. 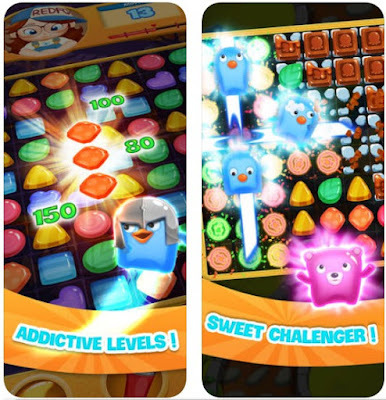 The Candy Super Heroes for its players is offering very interesting, challenging and fun features that will get them addicted to playing the game. Players on this game will have the task to place 3 or more candies of the same color in any direction to create the special power-up and get scores. Players can also place 4 candies in the same color on the horizontal or vertical line to make a special power-up that can eat all candies on the same horizontal or vertical line in the level. With placing 5 candies of the same color in L or T shape, the players get the chance to make a special power-up that has the power to eat 8 candies in the desired ways of the player or he can place 5 candies of the same color on the same line, players can make a special power-up that can eat all candies of the same color on the screen. The game also allows players to combine 2 special power-ups to make one extremely powerful explosion that could help them get through the level easily. Also, the game offers over 2000 levels for the entertainment of players, each quite challenging, offering the players to solve the puzzle, get through the obstacles and get to the next even more challenging level for more scores. 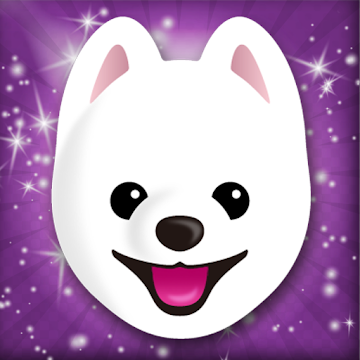 Download the game for free on Google Play and App Store and have through the candy levels! Having trouble creating a viral meme? The right meme maker app will turn the job into a walk in the park. 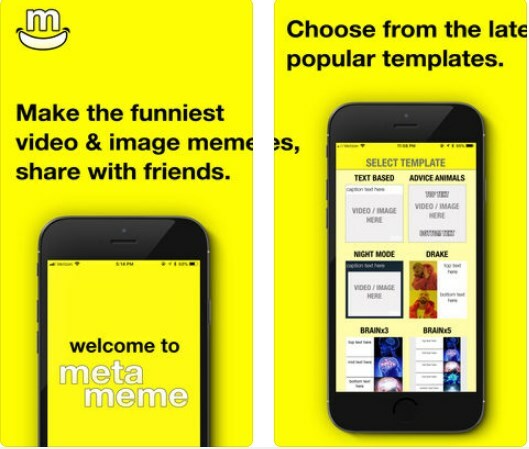 With a quality and powerful meme maker app on your phone, you will be able to create the most hilarious memes from photos and videos you like and export only high-quality memes that can be shared with everyone. We did our research and we discovered one great app for making memes from photos and videos you want to use. Let’s discuss it. Developed for IOS users, very easy for using and with simple clean design, this entertainment app that is created as powerful meme maker app allows users to easily and without much effort create memes from photos and videos they have in their library or find online. Users with the help of the app and the amazing tools offered for help can easily make the funniest memes using photos and videos and then share them with their family and friends. The memes can be customized as the user likes to and every user on the app will certainly enjoy the fun experience. The Meta Meme with its powerful tools and features has to offer its users the easiest and most fun way for them to create memes with using photos and videos On the app users have the chance to use photos and videos from their phone’s gallery or use photos and videos they find online like on YouTube, Instagram, Twitter, Tumblr, Reddit or Giphy. With the help of this app users are also able to search using keywords to find GIFS and they can also trim and edit the videos for the memes, choose the background color and custom fonts as they like to. The users using the app will only export high-quality memes. Users by using the app will easily add captions, use their own watermark just in a few minutes and choose their favorite template from hundreds of popular templates. Also, the app allows users to browse the gallery of the app that has a lot of meme images and they can choose any of them, editing the meme and choosing the font for the caption and the background color easily. When it comes to the watermark, users can customize it by choice, choose the font, add image or text, rotate and resize the watermark as they place. Users will have fun and can share the fun memes with others as well. Download the app for free on App Store now to make your own memes and share them with others! The quest for the best meal is what drives many of us foodies to travel. No matter if you are looking for locally-inspired eats or Michelin-starred dinners, a lot of smartphone apps are ready to lead your stomach to the good stuff as well as help you save details about your most memorable meals. Many developers have released food locator apps that take advantage of the location services in your smartphones, so now you can get food ideas and directions to find local restaurants on-the-go. A visit to Google Play or the App Store will reveal many search results when searching for "restaurants." And amongst the sea of foodie apps, Plate Rater is the one that won our heart – and stomach! The Plate Rater can be your go to app for your next foodie quest. 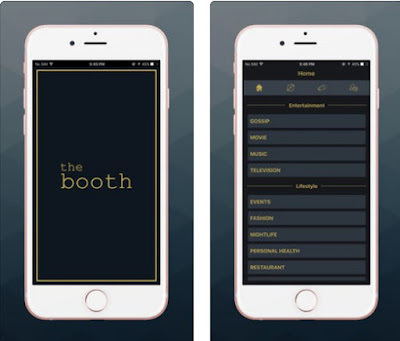 This app is designed and developed with the main focus on the dishes instead of the restaurants that serve it. It’s an amazing resource if you crave a specific meal and want to find out where it’s served at and how good is it because it can often happen that a place with extremely good reviews serves a mediocre version of your favorite food. And if you are like us and you do not settle for mediocrity when it come to food, the Plate Rater app can be the right tool for all your foodie adventures. The Plate Rater app can show you all the places near you that serve the dish you are craving at the moment, where is the place with the best reviews, and will also let you rate and review it your experience if you decide to try out some of the recommendations. This is how the foodie community can help each other find out where the best food is, explore local restaurants or different food vendors, discover what are the latest must try dishes in the area, etc. The Plate Rater app can be an amazing asset for every true foodie and help them explore, discover and experience the best food in the area. You can find and download the Plate Rater app for free at the Google Play or the App Store. There are numerous benefits to having on-site professional IT support for your business, no matter your company size or type. IT support can keep your business competitive. It can also save you money over time and streamline your goals. And that’s not all. Outsourcing an IT Support is definitely an investment. But this is one of those investments that is guaranteed to bring growth to your business and save on company costs over time. With a good tech support, you won’t have to worry about consistent expensive repairs and sketchy software investments. What does Support Visions offers? Support Visions is an IT support and solution company, which takes a proactive approach when it comes to helping your business. Instead of reactive fixing of errors and mistakes after they’ve occurred, Support Visions help you plan actions for problems before they happen, create innovative and efficient ways you can run your business and consult you on anything technology related. With its comprehensive managed IT services, application development and technology consulting offers, Support Visions is the technology support vendor that can help your business or organization run smooth and better than ever. Their approach is to gain a complete understanding of your business needs, and after a complete assessment – developing a comprehensive and efficient solution for every hypothetical and real problem you will encounter. Support Visions it’s a company truly focused on the growth and success of its clients. To learn more about Support Visions head on to their website and see what they are all about. Social networking apps are among the most popular apps everyone users on a daily basis on their smartphone. But because so many social apps are constantly being developed finding an app that guarantees your complete privacy while you share your frustrations and annoyance with strangers in order to relax and vent can be quite hard. To help you with that, we did our research and we discovered one amazing social networking app for that. Let’s discuss about it. Developed for IOS users as one easy to use, helpful and practical social network app that allows users to post their daily frustrations and stresses in order to vent and relieve from their stresses and anxiety. With the help of this social network, users can safely and without revealing their true identity, post and chat with strangers about what is bothering them. The app does not require any login or registration, allowing users to share their annoyance, sharing their personal feelings and vent every time they have a bad day, feeling better and relaxing each time they use it. The Booth as the social network for venting is offering all its users very practical features that will help them relieve from their stress on a daily basis and get through each bad day. Users with the help of the app are able to easily post their annoyance and frustrations in complete anonymity, without any worries that their true identity may be revealed. The public posts of the user are self-destructive so the user doesn’t have to worry that his posts maybe are recorded somewhere. The users are able to post their feelings, chatting with strangers about their anxiety and stresses by posting plain texts. Users do not have to worry about any privacy risk because the app guarantees them completely privacy, keeping them and their posts safely. For annoying users, the user has the feature of blocking if he needs it. Users by using the app can relax and feel better immediately by revealing their feelings and chatting with other users without the need to go and pay for therapists, getting all the help they need on the app. Download the app on App Store for free to talk with strangers and get the support you need! Separating teenagers from their mobile devices can be difficult, but we should do this for their own good. Usages of mobile devices should be avoided, especially during school time. There are common drawbacks of allowing students use mobile in schools. Studies show that schools that forbid students from using or bringing mobile phone into the classroom produce improved grades. Without smartphones, students can be more attentive and this will encourage higher scores. This applies for both younger and older children, but the effect can be more pronounced on students older than 15 years old. There are more troubles with at-risk students, and without smartphones, students will experience significant educational bump and the effect can be felt more on at-risk students. This could apply on children who require special education, due to subpar grades. In this case, at-risk students should get all the advantages they need to achieve better grades at school. Studies have shown that there are risks of allowing children to spend too much time with mobile devices. Many children spend more than six hours in from of TV, mobile devices and computers. Younger children need to be free from screens and it is important for them to experience outdoor activities. When communicating through online messages, children and teenagers can be quite vicious verbally. At school, it can be quite difficult for teachers and parents to police this kind of behaviour. However, direct transmission of messages through Twitter and Facebook between students can be reduced, if they are not allowed to use mobile phones at school. Students should feel quite safe at school and without using mobile phones, they feel less needs to check the social network accounts continuously. Parents and teachers could also make sure that students won’t post harassing or cruel messages to one another. Cyberbullying could cause real problems in real, verbal interactions and physical contacts could occur between them. When discussing the use of mobile phones at school, there’s always the debate about how mobile phones are essential during emergency situations. In this case, schools should make sure that they are able to contact parents and emergency services immediately when something happens. It is more important to prevent children to wade through many non-emergency, distracting messages during the day that can really affect their educational performance. In fact, this allows more important messages to get noticed and schools should allow parents to relay their messages to students. Compare prices: Some apps can become really handy shopping tools. The most straightforward way is to use web browser apps to compare between online stores. You can open multiple tabs in the browser to get more information. It is also a good idea to download barcode scanning apps. QR code reader is an app that can be used to compare prices among many offline and online retailers. The app can also help you to map out the nearest retailer with good deals. Match prices: Price matching is a common activity and with barcode scanning apps, it is easy to do. You can also use QR code reader and other similar apps to match prices. You will only need to show the seller the price on your phone to get reduced pricing. Hunt coupons: RetailMeNot and similar apps can help you to find coupons. It is a coupon database app that allows you to share coupons and their codes. Based on your GPS location, you will get relevant deals. If you want to use mobile coupons that are offered by the app, you can flash them at the register. There’s also an app from Coupons.com that can help during your couponing activities. Become more organized: You can save money and time by getting more organized. Many department stores, retailers and shops offer various loyalty programs. This could cause your wallet to become bloated with cards. Smartphones can reduce your dependence on cards. ZipList is an app the can help you to locate items and provide specific information, so you won’t overpay. Get rewards and points: There are multiple apps that can help you to achieve this. As an example, Shoppix is an app to earn points from certain retailers. Once you get specific points, you can trade them with gift cards. Calculate prices: With the right apps, you don’t need to struggle when converting price units. One good app for this task is the Apples2Oranges. It easily and quickly calculates prices of each item. It has a built-in calculator that can help you to perform various calculations easily and save time. Look for ideal products: The cheapest, newest or most expensive items are always not the most ideal. Often, you need to look for products that provide the highest value. An app called Buycott helps you to examine whether a product is ideal. If the product of specific companies matches your requirements, the app will notify you. Perform transactions: It is now very common to perform transactions with your smartphones. Square Wallet is a good app to access your debit account, so it is an ideal replacement for debit card. For any savvy spender, the app can become an excellent all-in-one resource. People often find that they don’t have enough money for everything. In this situation, they need to know how their money should be spent properly. Certain apps can help you to organize your apps. In the current technologically-driven landscape, it is a good idea to use smartphone apps for any situation, including for managing your financial situation. Here are apps that you may consider installing on your mobile. Wally: Wally is a free app that can help you to organize your budget. After performing a purchase, you need to enter relevant information into the app. You need to do this manually and take a photo of the receipt. Wally is a great app for people who are completely new to the financial world. It’s good for people with simpler financial responsibilities, if they don’t have car loan and mortgage. However, you need to have the habit to manually input details of each purchase. Mint: It is another free app to manage your finances. All accounts can be linked to Mint, including bank accounts, credit cards, investments and loans. This app automatically track purchases and monitor any trend in spending. It comes with a great analysis for cash flow. Mint provides an overview on your spending and breakdown of your personalized budgets. The initial effort to set up Mint can be time consuming, but it should worth it. Acorns: Acorns cost only $1 per month for accounts that are worth under $5,000 per month. For accounts that are worth more than $5,000, the cost is 0.25 percent of the balance each year. This app could become one of your best financial investments, because you will find ways to earn some money. Acorns will ask users multiple questions to determine their characteristics. As investors, users can be classified as short term, long term, low risk or high risk. Acorns are excellent introduction for investment and the process of choosing investment funds can be automated. The app will provide suggestions based on the user goals. Based on current investment characteristics, the app offers a projected value. For some people, Acorns can be somewhat controlling, but the app can help users to choose the right investment option. Stash: Stash is an investment app that costs the same with Acorns. It is a great option for people who start from $1,000. Stash offers thirty investment portfolios, consisted of various stocks and ETFs blends. Users will have the ability to choose where they need to invest the money. Unfortunately, Stash doesn’t provide any projection on the amount of money that users may earn over time. For all of you iOS users out there that want to earn some real money, we have a great recommendation for you. AdLottery is the perfect app to enter daily lotteries and win awesome jackpots. Forget about lottery tickets and win big with our Lifestyle App of the Month. 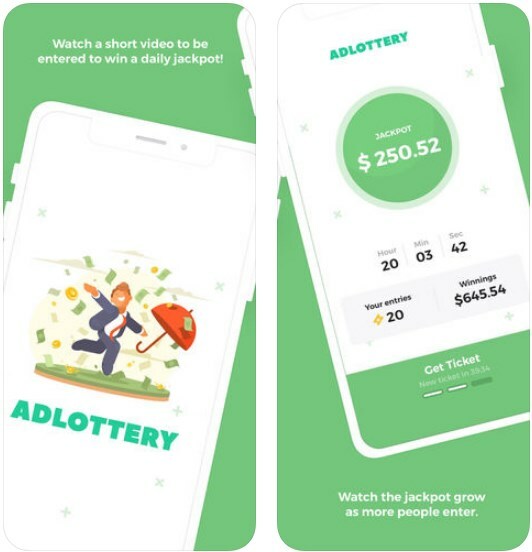 Developed for IOS users, AdLottery as one easy to use, interesting and fun lottery gaming app, this app allows its users to feel all the benefits of lottery without any of the drawbacks, mainly without risking their own money. By using this app, users are able to hit the daily jackpot just by watching short ads and cash-out their winnings instantly. Guaranteeing users their safety and offering them big chances to win money without any risks, the app allow users to easily win big and to never again buy a lottery ticket. The AdLottery as the lottery app without any risks it offers all its users to easiest and most fun way for them to win money without risking their own. Users can enter the lotteries just by watching a short ad. As the user is watching more and more short ads his chances to win the daily jackpot are growing. When more and more users enter the daily lotteries, the jackpot gets bigger. More ads watched more chances for winning. The app does not require any in-app purchases and guarantees the users complete safety as the watch ads and win, offering them to cash-out their winnings via PayPal instantly. Users will certainly experience all benefits of playing lottery without buying tickets or losing their own money, just watching ads and winning real money while having fun and enjoying. Download the app on App Store now for free to win money without any purchase necessary! Since the days of Tetris on the original Game Boy, puzzle games and handheld devices have gone hand in hand. 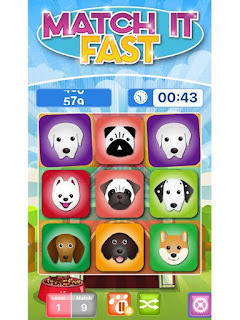 With the app stores encouraging creative developers to come up with their own ideas for addicting brain-teasers, there are plenty of quality puzzle games out there for our smartphones and puzzle games are among the most popular at the stores. In fact, the most popular gaming franchise on mobile ever is a, you guessed it – a puzzle game. The genre has evolved as time passed by, and game developers have been busy finding new and exciting ways of puzzling our brains. Block Puzzle Reloaded is a splendid new puzzle game in the style of the classic Tetris games. Arrange the blocks to form complete vertical and horizontal rows, destroy them, clear out the grid and then the same again and again until you are completely stuck. But instead of the block shapes falling down the grid, you drag and drop them – anywhere – you find it fit and create complete vertical and horizontal rows to be cleared out that way. A simple yet defining little change that make Block Puzzle Reloaded stand out from the sea of Tetris-like puzzle games on the stores. 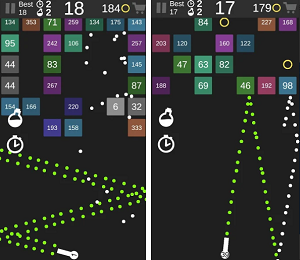 Block Puzzle Reloaded has two different playable modes, the classic – how long can you last? mode and the timed one urging you to clear out the gird as fast as possible. 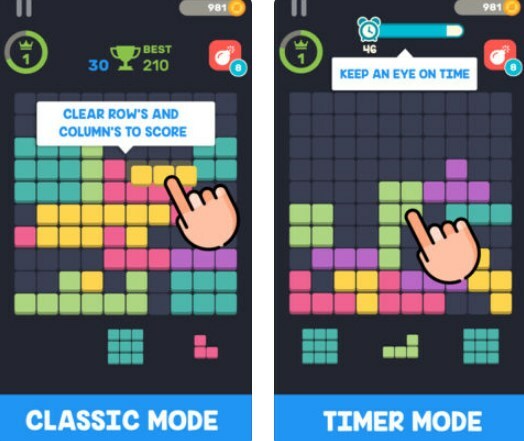 These two game modes alongside the fun blast powers give this simple puzzle concept a little more variety when it comes to its gameplay, and this is why Block Puzzle Reloaded stands out from the crowd. Daily achievement challenges, level system and competing with your friends while collecting points and climbing the leaderboard is all present in Block Puzzle Reloaded. Give Block Puzzle Reloaded a go, download and install it for free, its available for both iOS and Android device s and it can be found at the Google Play and the App Store right now. Today, billions of people are using Android smartphones. Android devices have become a major part of our lives, and almost everyone loves to play games on them. There are lots of cool games that are available today in the Google Play Store. 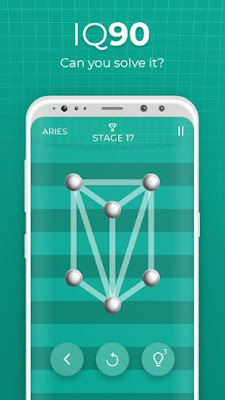 So in this post, we will tell you about one of the most addictive and fun Android puzzle games. This is a game that you can’t stop playing in your free time. It is selectively chosen from many games, so keep on reading and find out everything about it! We’re very excited to share with you one of our favorite games these days, a game that we play and enjoy during the World Soccer Cup. It’s called 1Line Football, now available on the Android platform for users of all ages. This one line soccer puzzler shines with stunning graphics, neat controls and UI, and a super-addictive gameplay. Let’s see what it is all about! You will quickly understand the rules and learn how to play. But the tricky part is the game’s increasing difficulty levels. All you have to do is solve as many one line puzzles as you can. How? Drag your finger across your screen in order to connect the football balls with one stroke only. Note that you can’t go through the same line twice, so think carefully before you start. You will start off with simple shapes, and as you complete them, you will progress and be challenged with more difficult ones. Use hints whenever you’re stuck, solve as many puzzles as you can, win levels, high scores and invite your friends to join you while you enjoy the World Soccer Cup. Get the 1Line Football game for free from the Google Play Store link we provided you below and have hours of fun! There are countless fitness-related apps on the market for both Android and iOS, so it can be tough to sift through the dirt and find a gem or two. So we’ve done the heavy lifting for you and tested a whole swathe of apps. We found one of 18 that is worth trying if you need a nudge to stay on track. Let we now introduce you a quite perfect fitness app for all of you beginners who want to take care of your bodies for this summer and enjoy well being with your physic. We want to talk about the 7 Minute Workout App that will do wonders if you’re ready and commit to burn maximum calories and achieve your desired results with simple and easy 7-minute fitness program that this app offers. It’s never too late to start your fitness journey and build a new daily discipline. Follow along with detailed fitness videos as you exercise and keep track of your sets – videos that will let you know how long until the end of your workout. Simple as that, all you need is a little will and commitment. Get 7 Minutes Workout App for free and check it out the workout details, exercise videos, video tutorials, fitness tips and weight tracker that comes along with it. Don’t miss this fantastic opportunity to get in shape and walk on the beach with more confidence. The life of a student can be quite complicated and full of responsibilities. However, nowadays with the development of so many apps for many different purposes, with the right app on your phone you will be able to make your student life easier. If you have troubles with your classes and finding a spot in your desired class, we did our research and have an app that can help you with that. You can sell, buy or switch classes with students from your college easily. Let’s discuss about it. Developed for IOS users as one very easy to use, highly practical and efficient education student app that offers its users to search for classes they like to attend and join them by connecting with other students that like to buy, sell or switch classes with them. The app is made by the developer Nour that wants to help students that have registered in any class the chance to sell their spot or switch with other student that likes to join. Causing revolutions at universities, the app has the chance to become business for students at colleges and it’s made for all U.S universities and community colleges. 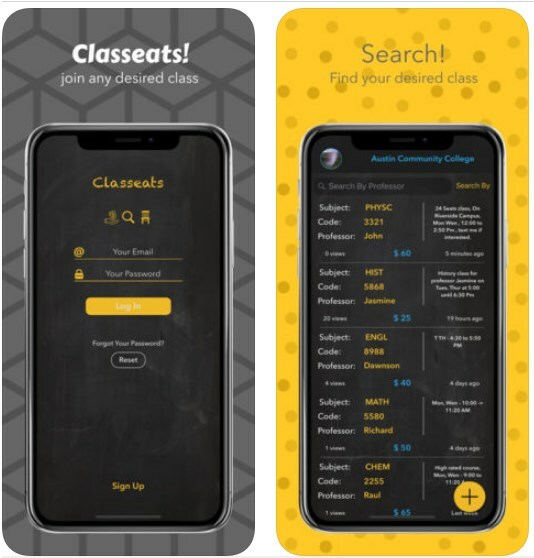 The Classeats as education app especially made for students across U.S is offering all students the chance to search for classes and spots in them easily, allowing them to find their spot in any desired class. By using the app, the student has the chance to find students that registered in a class they like to attend and if that person wants to sell his seat, the user can pay for it or they can simply switch classes. All students can text each other and set appointments so they can make arrangements to sell, buy or simply switch classes with each other. Some of the classes may have a waitlist and the user with this app can make sure he is the first one on the waitlist and other classes may not have a waitlist and the student has the chance to meet with the student that likes to drop so he can be the first one to register. Students on the app can rate their buyer or seller if they like. The search option on the app is very practical, the user can use the professor name, class number, or subject to find any desired class on his college he likes to join and attend, completely effortlessly. Download the app for free on App Store now to connect with other students and switch classes! Do you fancy yourself a know-it-all? Do you groan in frustration every time a game show contestant misses a blindingly obvious answer? Well, it's time for you to flex your brain power with 15 of the best trivia games for mobile devices. Whether you're a pop culture wunderkind, a history buff, sports stats junkie or movie maven, there's going to be something for you on our list. Today we gladly want to introduce you an epic app to beat your boredom and replace your free time with some outstanding trivia game that surely is worthy of attention. 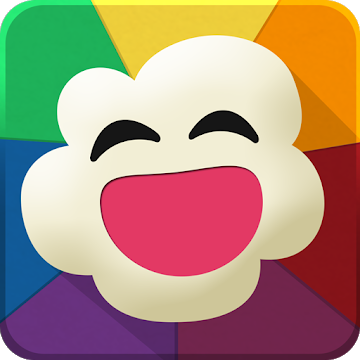 Namely, we talk about Popcorn Quiz, a game app in wich you’ll have to guess the object that appears in your life films. This game app is quite interesting and addictive with more than 200 films and levels to guess that is leveled to be a challenge. What’s so cool in this Popcorn Quiz is the Power-Ups option to pass the most tricky levels and the option to get free lives if you want. The gameplay is simple, as you can guess. When you start playing an object from a film will show and you will have to select the correct answer from 4, simple as that! Give a try and share it with your friends in order to challenge them and double the fun. If we successfully intrigue you with this article, visit this Play Store Link where you can download it for free. Enjoy it and share your thoughts here down below!